US Highway 101 wears Douglas Fir trees for a beard covering it’s sharp chin of volcanic basalt, boasts curves women would envy, and is freckled by little wooden shacks bearing caffeinated, dark brown pick me ups. 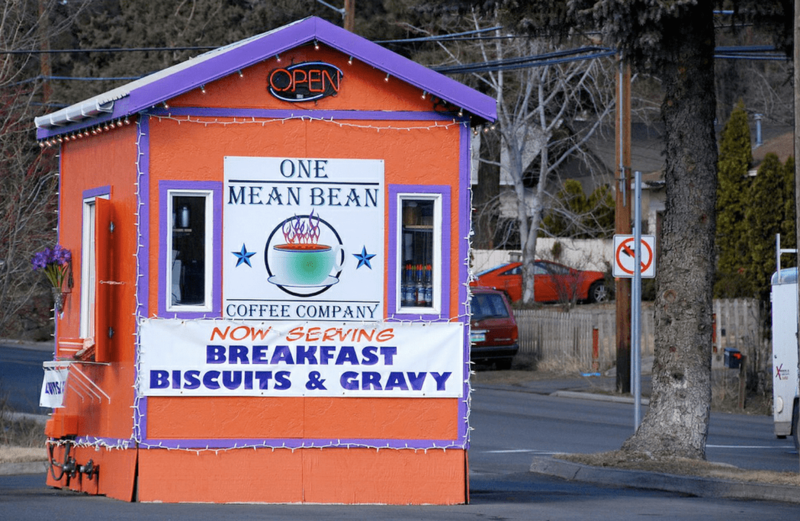 The roadside coffee shacks found up and down Oregon’s Coast are little more than tool sheds, but trade out the old lumber saws and horse bridles for oft locally roasted coffee beans in the form of lattes, mochas, the occasional pastry and of course, a good cup of black. We pull up to either side, wind down our window to let the breeze blow in like it only does on the Coastal Range, and are greeted by a spritely young blonde woman. “Well hi-ya,” pours out of our car window. “Hello, there!” she replies, smiling away the afternoon and happy to accept cash or credit, push a cupcake or two on you, and maybe even point you in the right direction, assuming there’s a destination in mind for you today. We pull away while the steam fills our windshield and let a little afternoon speed down the hatch. While directly in the Nehalem Bay area, your best bet is in Nehalem itself, between Wanda’s and the stoplight. Nestled nearly at the sharp bend where US 101 makes an L out of Nehalem’s H and 7th Streets, it’s the fastest way to get a good cup before a morning’s worth of leaving your footprints in the sand. Now, that’s not to say that these coffee shacks have the best coffee, or that the area is lacking in a more traditional sit down experience. Looking for a homemade donut and a cup in town, Manzanita? Check out the little place just before you hit sand, next to Marzano’s Pizza on Laneda Ave. Rather have a chat with the locals? Drop into the Manzanita News & Espresso, a few blocks west on Laneda’s other end.